Laharis is the project of Johan König who was the original founder of A Challenge Of Honour. After recording the 'Wilhelm Gustloff' sessions, Johan left ACOH and gave the Project to Peter, who is ACOH nowadays. 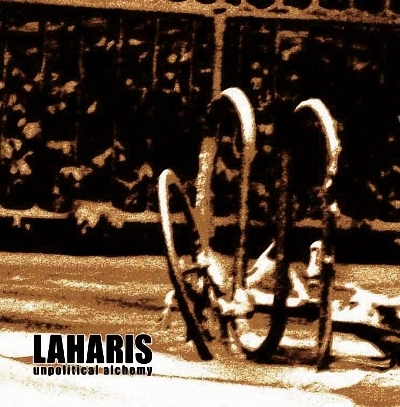 In 2005 Johan started working on his own music again under a name that he used already several years ago: Laharis. On the new album "unpolitical alchemy" he works again (for the first time in 5 years) together with Peter. The sound is between the early ACOH recordings with modern electronic influences. A beautiful album with many psychedelic moments. the best soundtrack for long car-rides in dark nights. Contains a hidden video-clip. 500 copies.